Prof. Abbas Nasr, faculty member of Al Falah University at the College of Mass Communication, delivered a lecture at the Ajman International Conference on Education and Training in 2016, on the sustainable development as course in higher education and its influence on the output of the institutions of higher education. 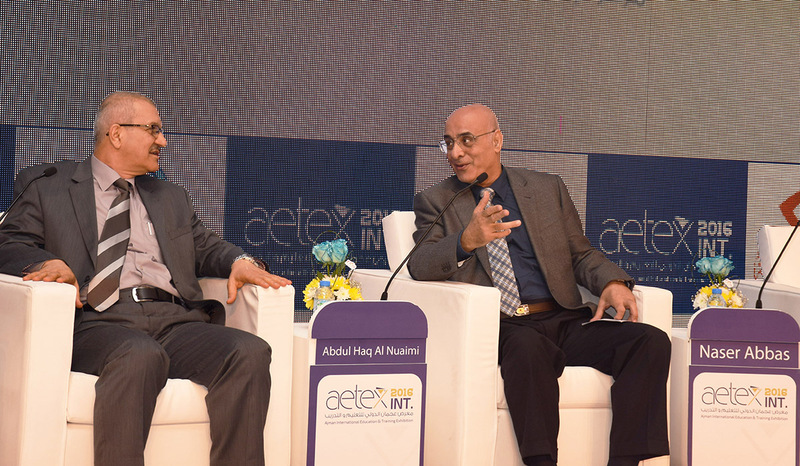 His lecture was a part of the activities of the international conference organized by the Ajman Chamber of Commerce and Industry from 8 to 10 March, 2016 at the Emirates Center for Hospitality, Ajman. The topic focused in the conference was “Knowledge about Sustainable Development “. He focused on the effectiveness of teaching this course and its relation with educational outcomes. He stressed that students should be encouraged to study Arabic language. This would play an important role in achieving the desired students success and serve to maintain a healthy environment.